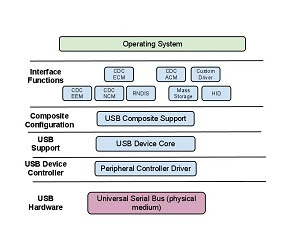 Belcarra’s USB Device stack includes a Mass Storage (MSC) function. 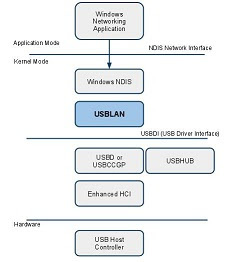 This allows an embedded device using the USB Framework to emulate a Mass Storage device either as a standalone function or as part of a composite configuration. tools; the USB IF Mass Storage command verifier tool, Microsoft WLK and CrystalDiskMark tool. The MSC system allows 4 LUN’s (storage units). There are management operations for individual storage units and for the system as whole. For each LUN, a storage volume is mounted, optionally with the read-only flag set. This associates a LUN with back store. This can happen before or after a USB connection is established with a host. wait (block) until a user either ejects a LUN or removes the cable. Afterwards, status queries can determine what has happened. This allows individual LUN’s to be temporarily closed while the others remain active. For auto-installation of software (especially drivers), a virtual CDROM is useful. This differs from a read-only LUN in small details. The CDROM device type is detected by a SCSI command after enumeration. The data transport is exactly like a virtual hard disk, but the data should be in ISO9660 format. Note: a virtual CDROM must be the only LUN. This is no problem with Belcarra USB using one instance of MSC with writable back-store and a second instance for a virtual CDROM. During Enumeration, device returns cdrom type to host to indicate it is a cdrom. then losetup a cd Image file to a loop device /dev/loop0, next mount the loop device to msc. At this point, host can see the content of cd image. Used in a standalone or composite configuration the MSC function provides a reliable way to provide a virtual mass storage device as part of your embedded device. It is designed to minimize resource usage while still providing for good throughput.